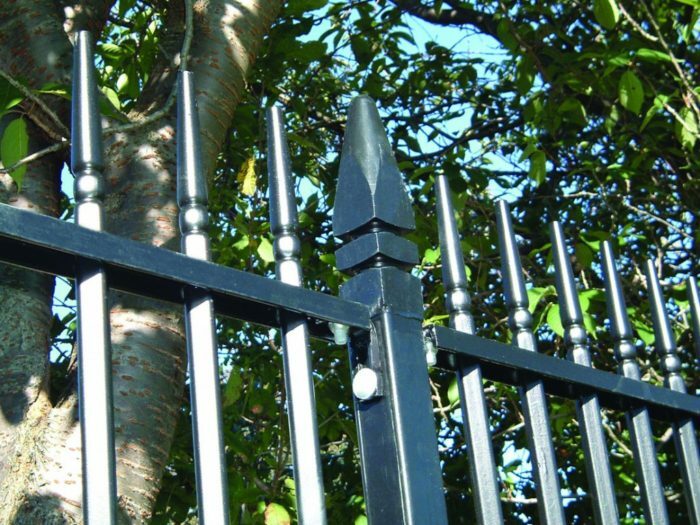 When your fence needs to match or blend with the surroundings, railings offer a functional but also decorative solution. 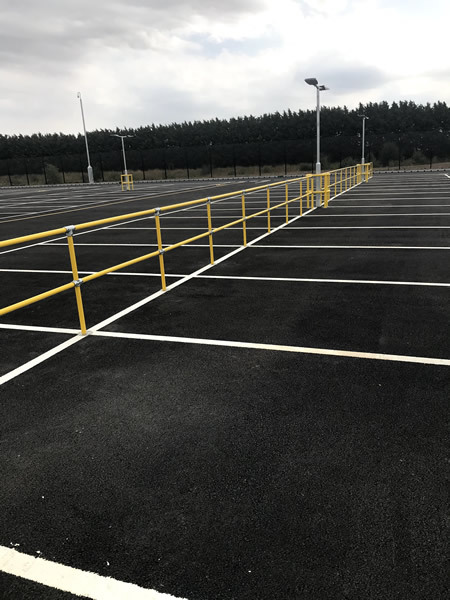 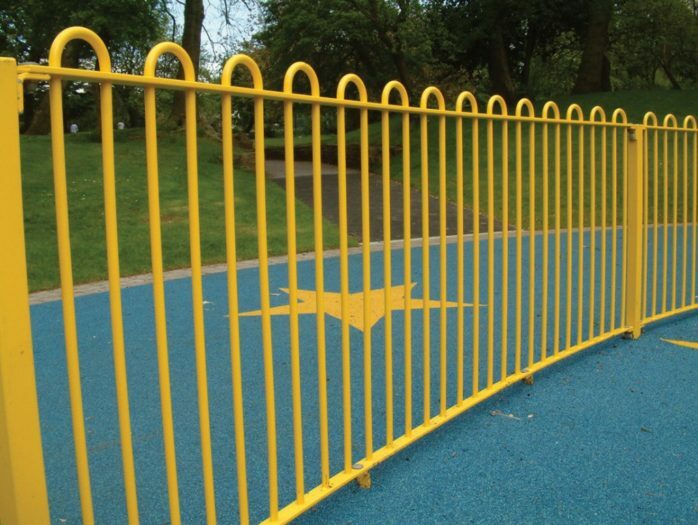 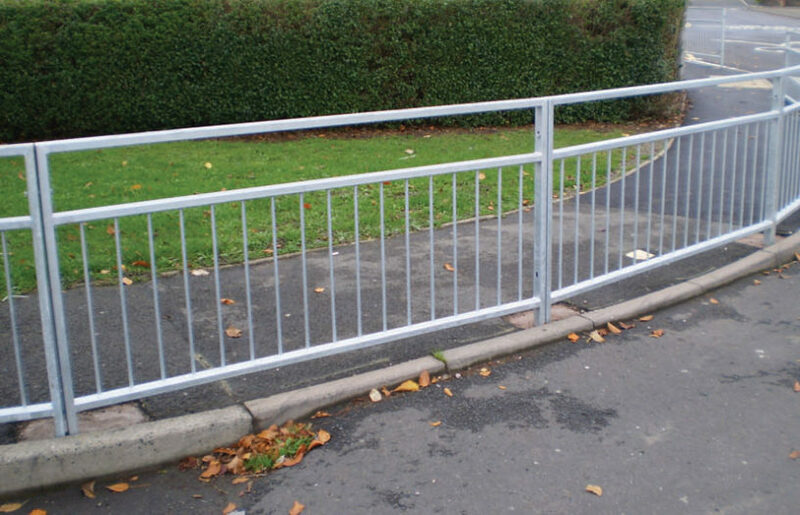 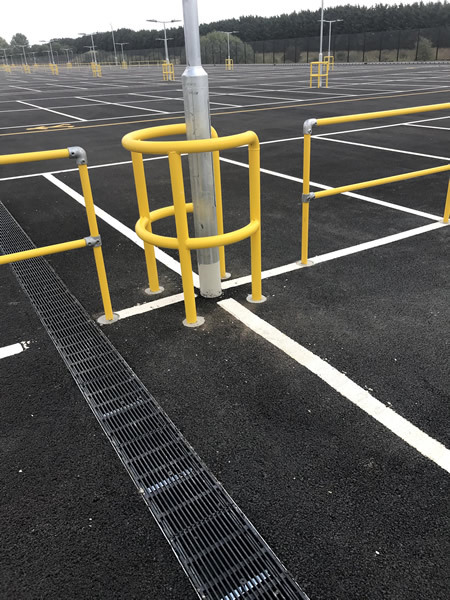 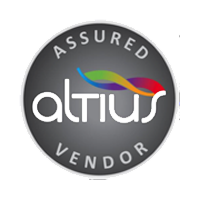 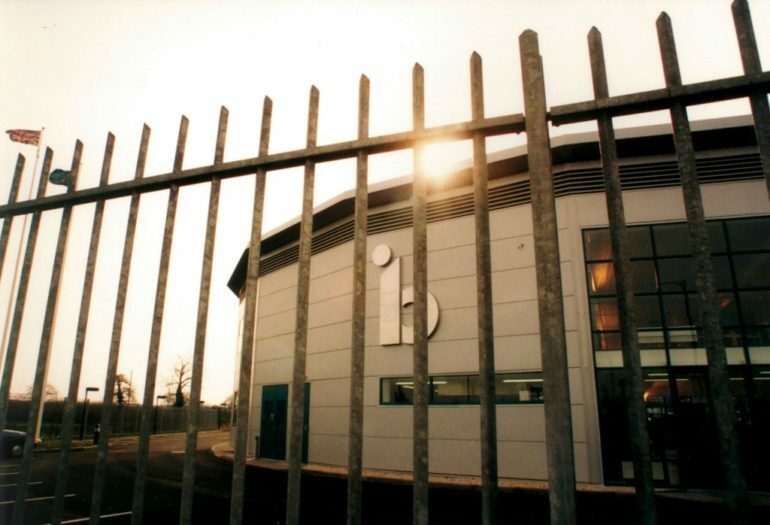 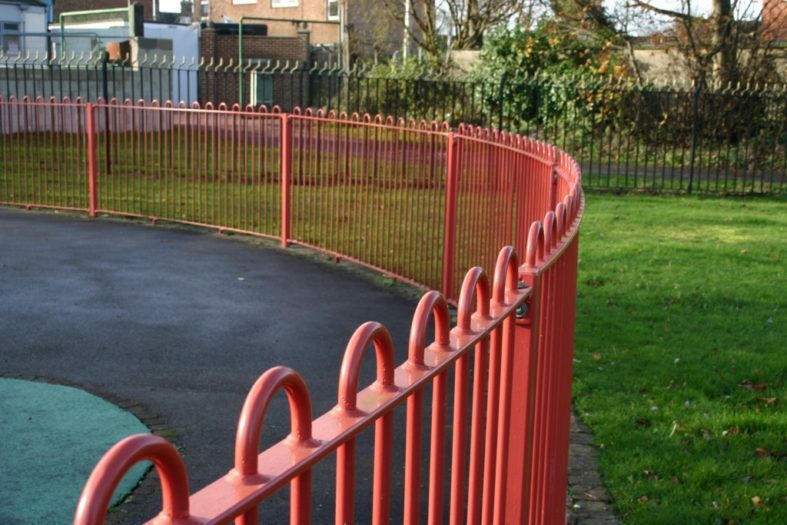 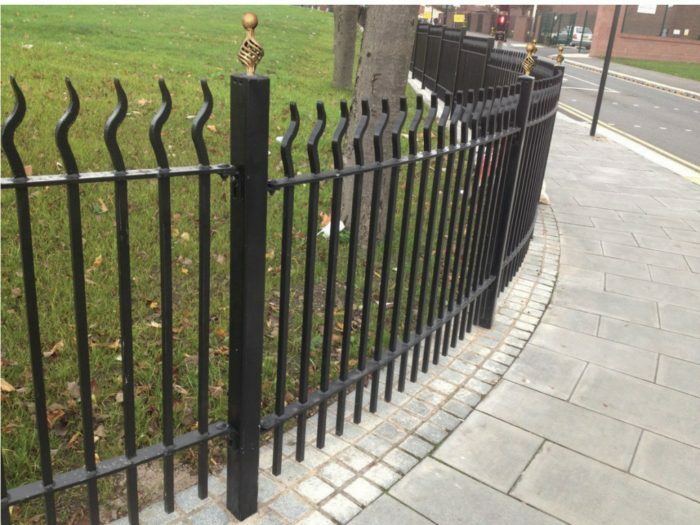 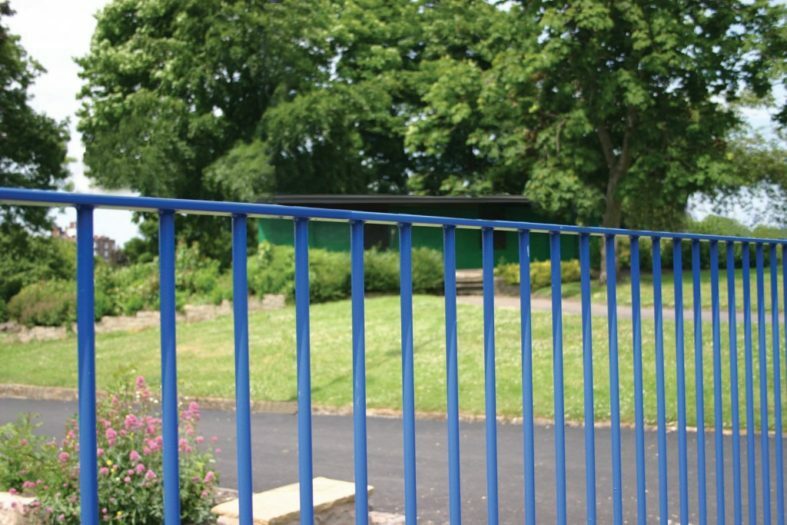 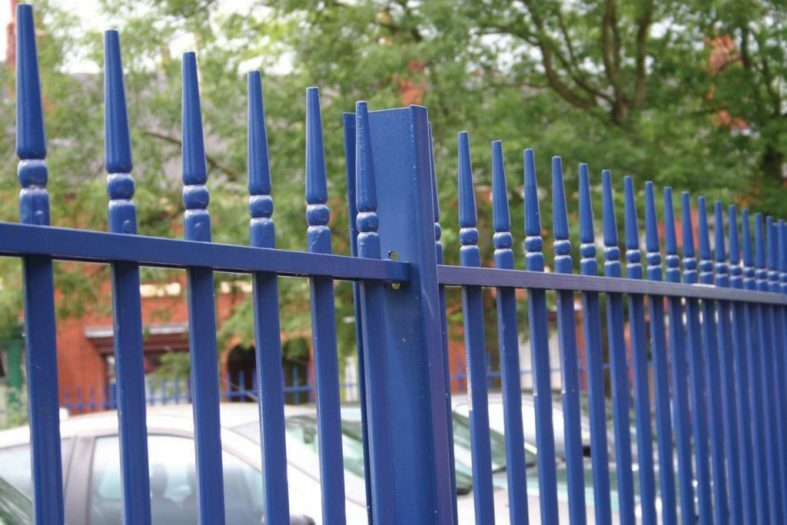 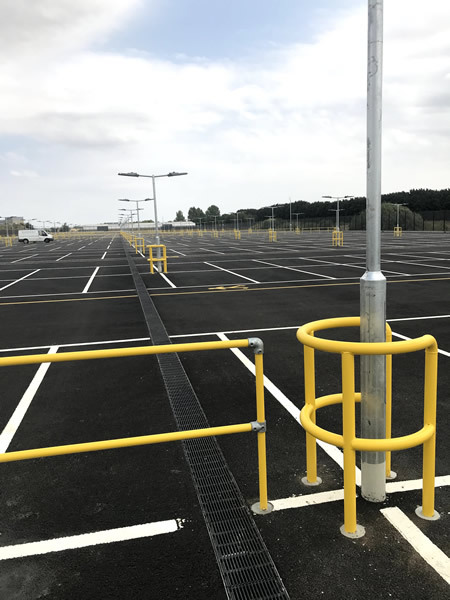 Whether you require, vertical bar, bow top or ornate railings, we can supply a suitable design of railings with a choice of painted, powder coated or galvanized finish. 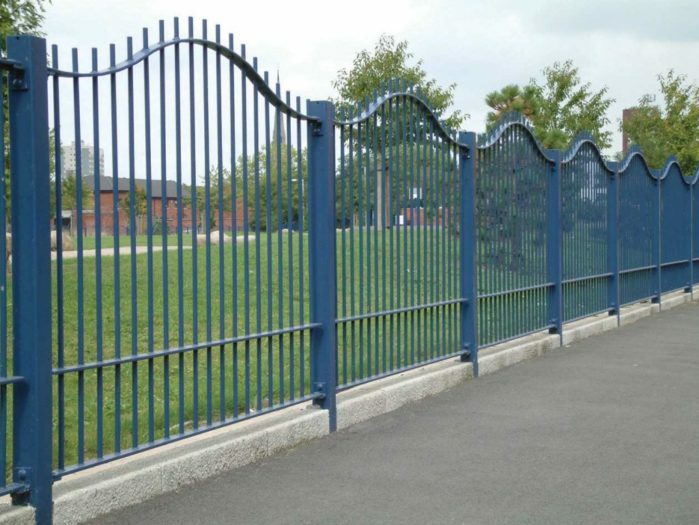 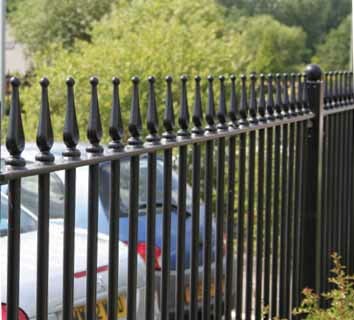 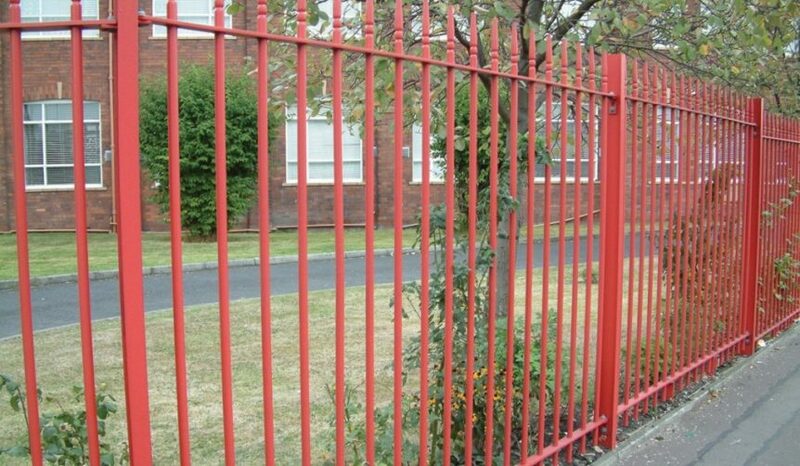 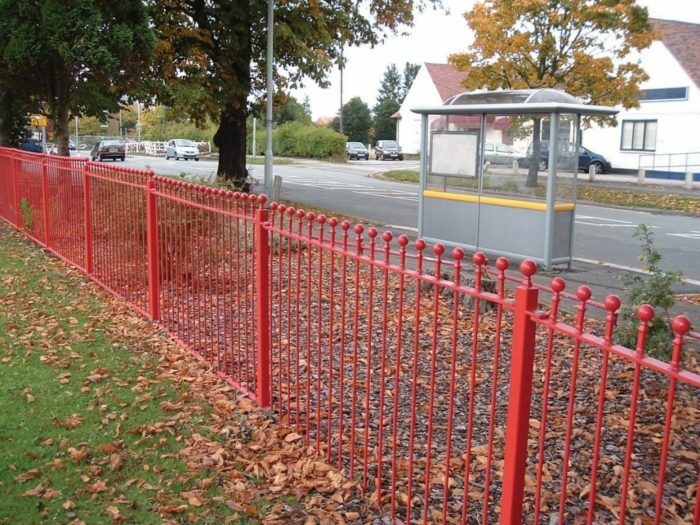 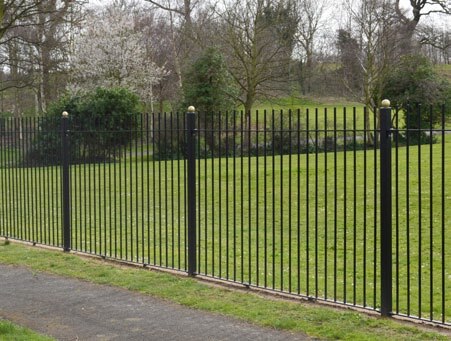 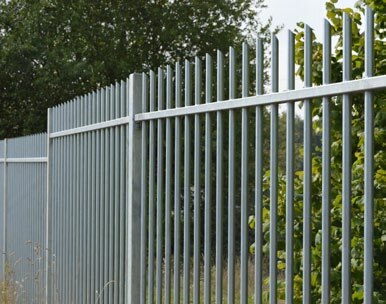 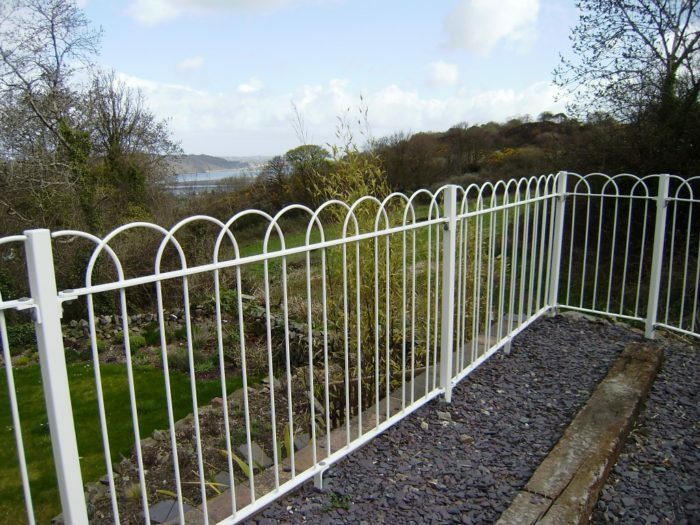 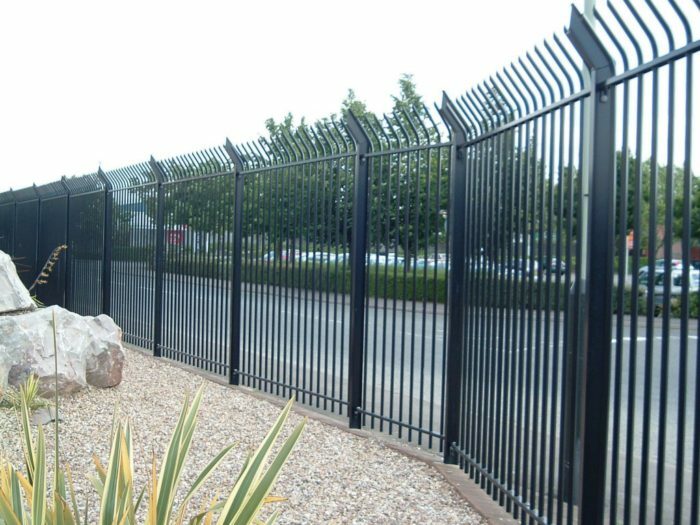 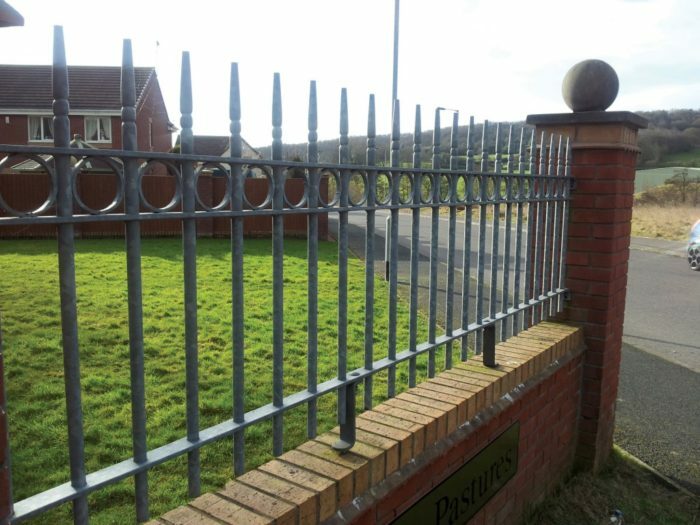 When you are looking for a more traditional, durable, yet decorative finish to your boundary fence, then railings is a very versatile option for your consideration. 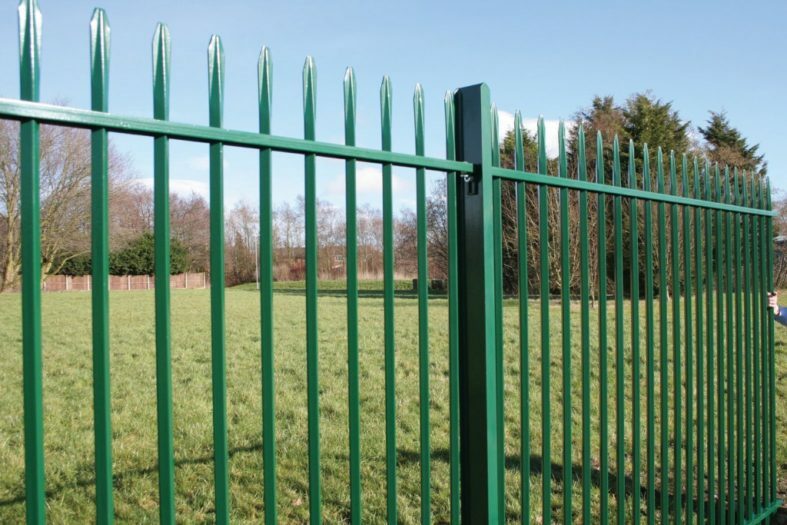 Simple vertical bars can be finished off in a number of aesthetically pleasing heads including the ever popular bow-top, blunt, spiked, domed, cranked, convex or turret options. 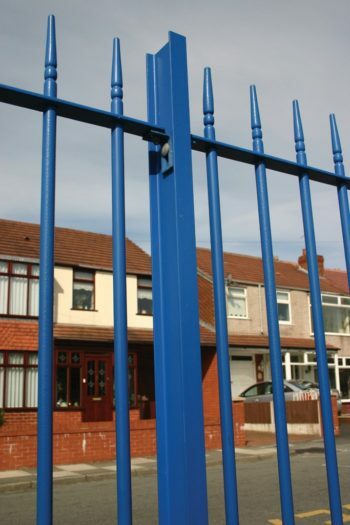 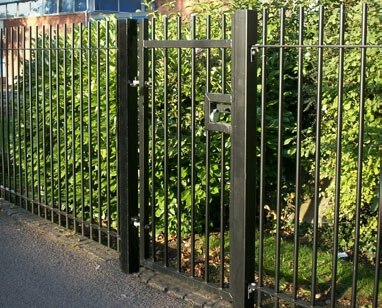 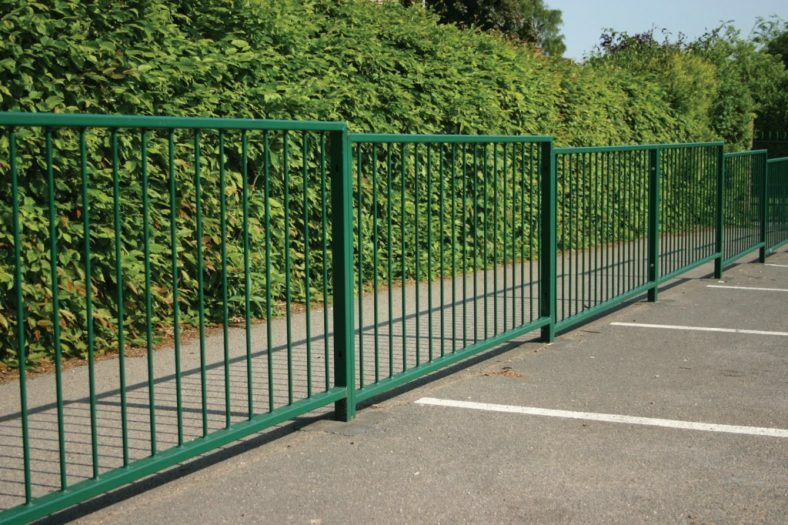 Matching gates are available whatever style you specify and all can made to your own individual and bespoke requirements, along with non-standard lengths, raked, radiused, or stepped panels in any width or height. 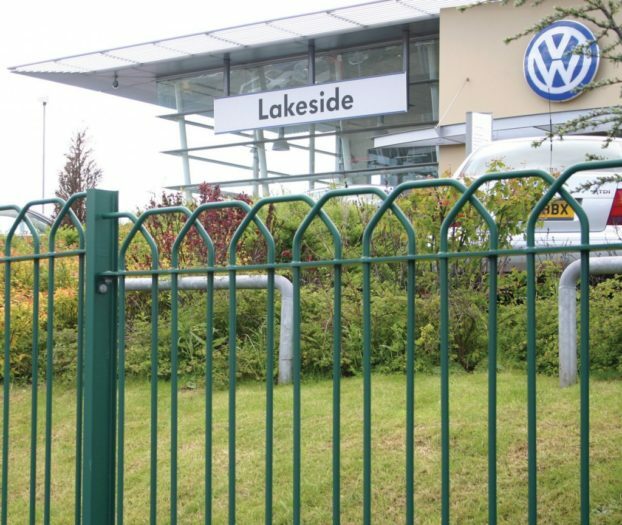 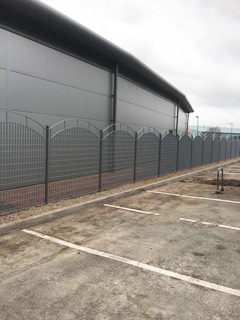 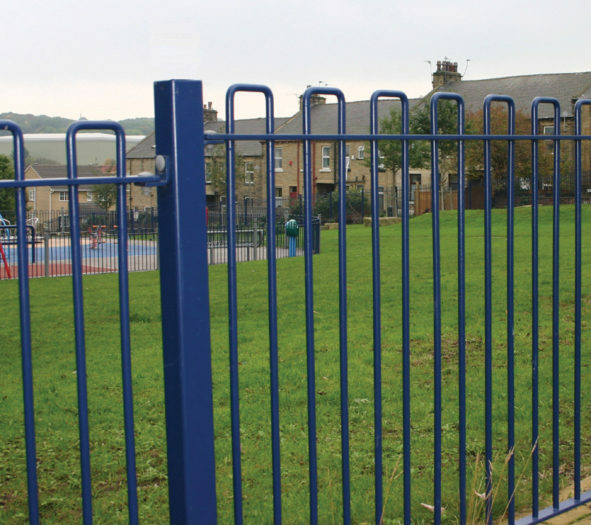 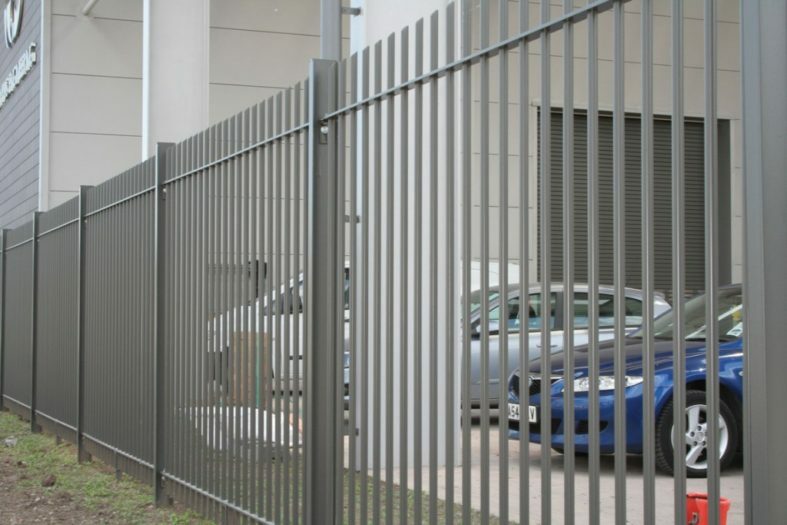 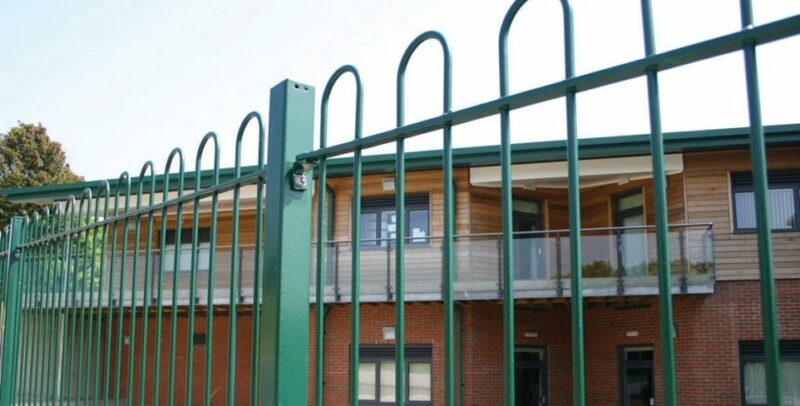 Railing are an ideal fencing system where fencing design fulfils an important role when marking out property boundaries and represents an ideal solution where minimum security is required and where the visual aspect takes priority. 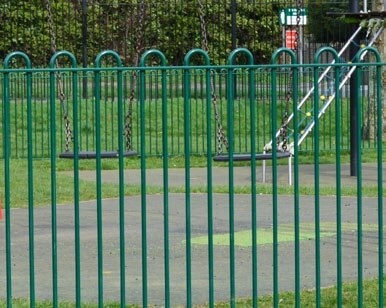 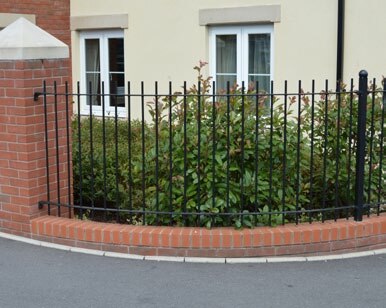 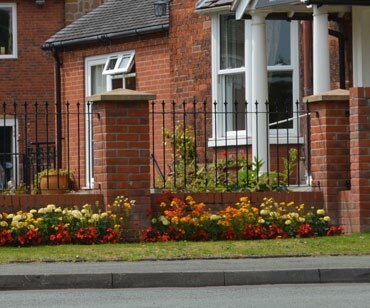 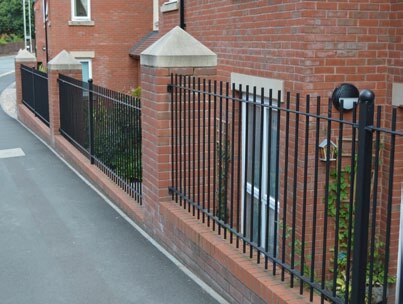 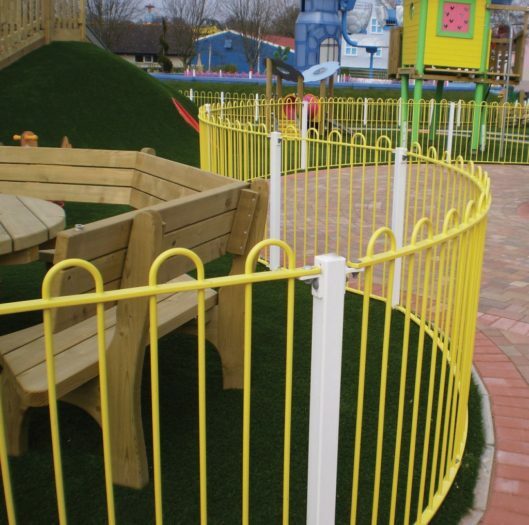 Our range of ornate railings help enhance the character of an area with attractive distinctive features. 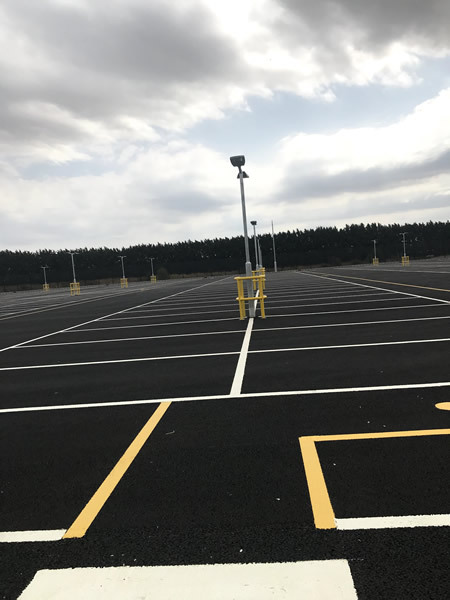 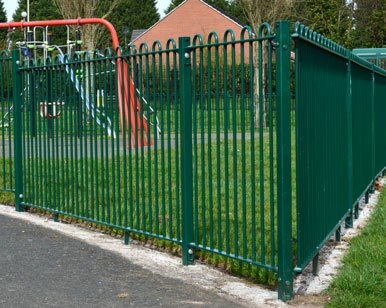 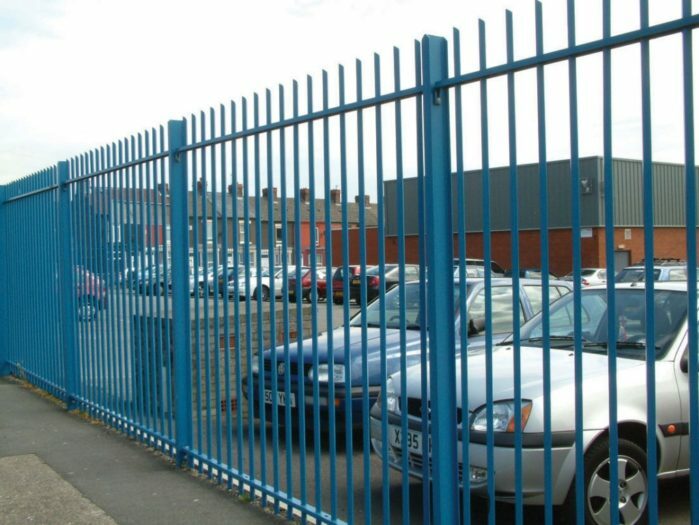 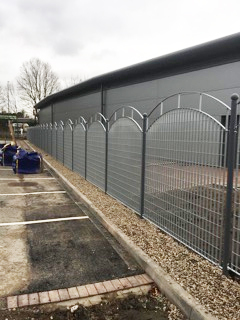 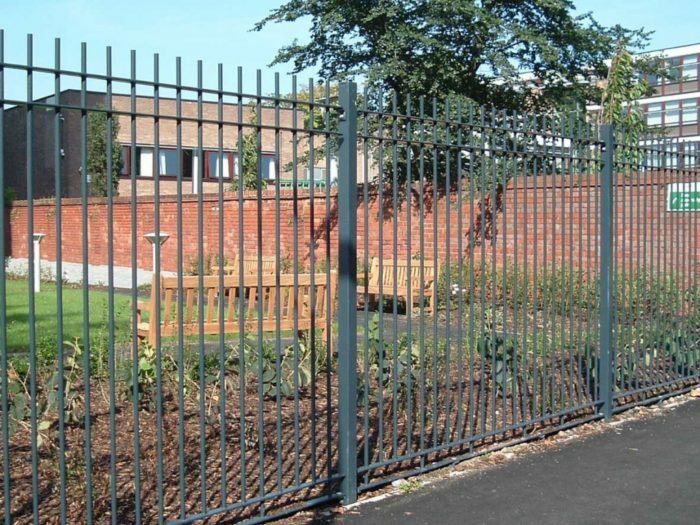 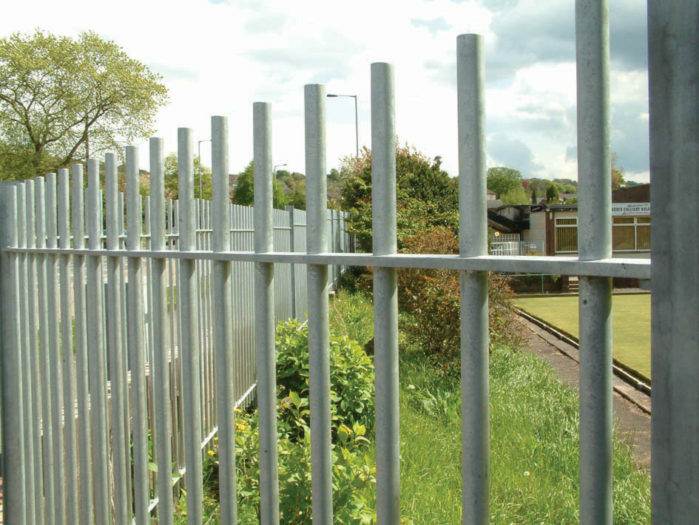 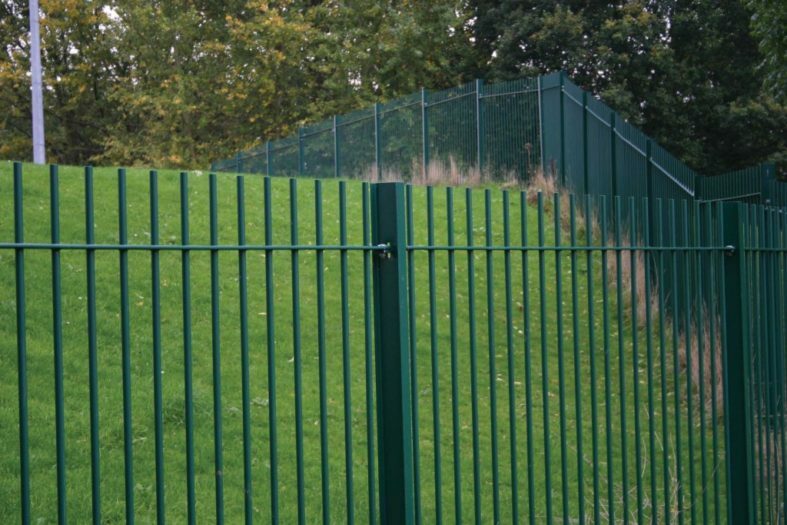 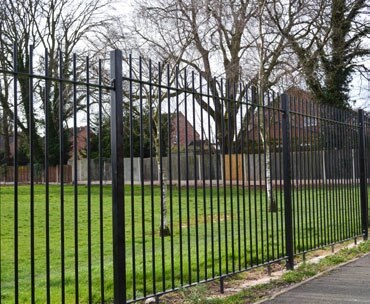 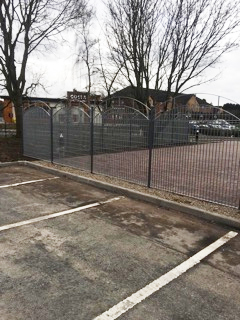 For more information on any of our types of RAILINGS FENCING SYSTEMS, welded mesh fencing, palisade fencing, site hoardings, timber fencing, gates, games area fencing and shelters, covering the Birmingham, West Midlands and the UK, call G and H Fencing for a competitive quotation on 01789 209191, Email us using ghfencing@btconnect.com or complete our simple enquiry form.